Packed with flavour and low in fat, roasted peppers make the perfect vessel for this super healthy, LRG favourite mid-week meal. Stacked with antioxidants and vitamins you’ll give your immune system a boost with more vitamin C than you find in an orange! Labelled the super grain of the future, quinoa’s history dates back as far as the Incas. One of the reasons it’s held in such high esteem is down to its incredible levels of protein – containing nine essential amino acids. It’s also versatile and can even be used to make desserts. When it comes to longevity the humble chickpea won’t be out done, claiming the title of one of the oldest consumed crops in the world. But it’s not just one-upmanship as these guys help to regulate blood sugar levels, provide an energy boost and help to fill you up without impacting the waistline. High in the antioxidant lycopene and always a can or two in the cupboard chopped tomatoes have shown to help lower the risk of heart disease, and even prostate cancer. In a saucepan over a medium heat, stir in chickpeas, drained tomatoes, quinoa and water, season with salt and pepper. Cover and bring to a boil. Reduce heat and simmer for around 20 minutes. Prepare pepper by slicing off the top and deseeding. 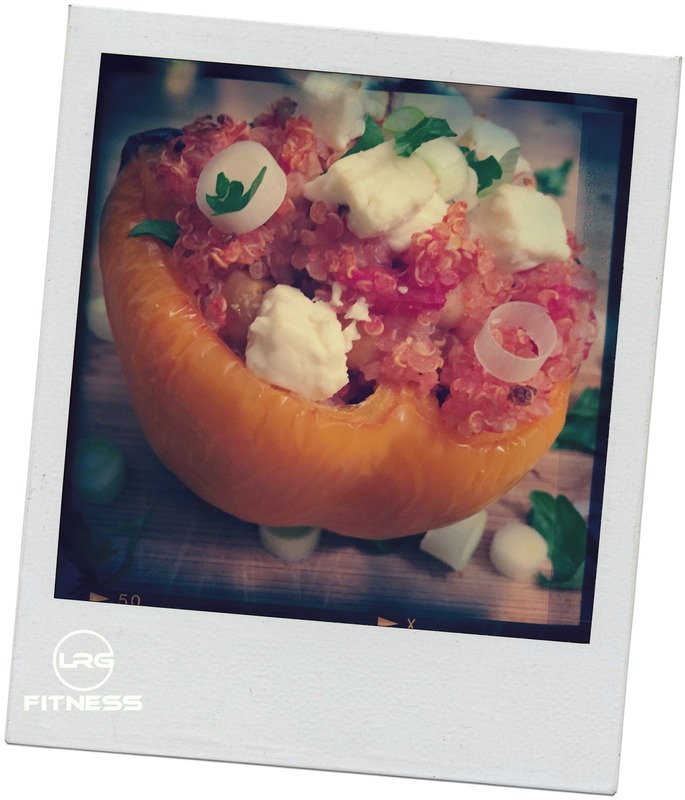 Remove peppers and fill with the quinoa mixture, sprinkle feta cheese and place back in the oven for a further 5-10 minutes. Garnish with spring onions or topping of your choice – serve and enjoy!